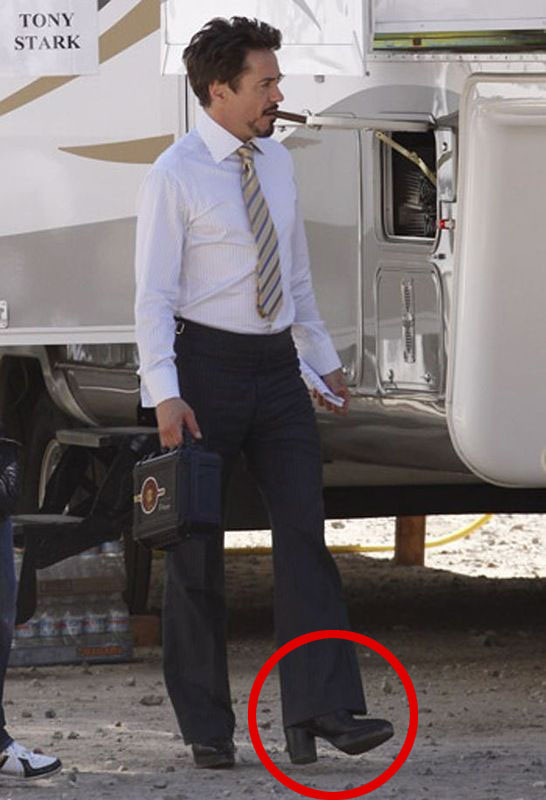 Robert Downey Jr has special 3-inch (7,6 cm) for the filming of the Iron Man 3. This way the 5-foot-8 (172 cm) actor looks taller then Gwyneth Paltrow who is 5-foot-9 (175 cm) tall. Looks positively seventies to me. You don't expect Gwyneth Paltrow to wear flats, do you? Hahaha! I'm 3cm taller than Gwyneth!